These birds are called filly. 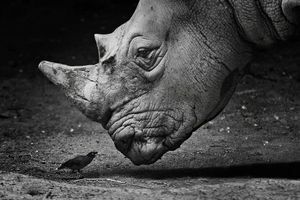 It is a rhinoceros bird, it loves the rhinoceros more than other animals, because its huge naked body always has an incredible number of larvae. 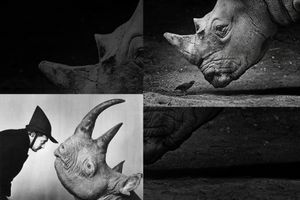 She is not only a personal surgeon and a loyal friend, but also a personal guard of the beast: if she hears some suspicious noise, she immediately screams and begins to peck the rhino in her ears, warning of the danger.